WHEREAS, contemporary Pennsylvanians like Alison Bechdel, writer-illustrator whose works inspired a Tony Award-winning musical, Loretta Claiborne, speaker, advocate, athlete, and Special Olympian, and 2016 Olympic medalists Amanda Polk, Cierra Runge, Leah Smith, Taylor Ellis-Watson, Nia Ali, and Christa Dietzen, reflect the spirit of their trailblazing predecessors and inspire the vision, action, and determination of the next generation of women. 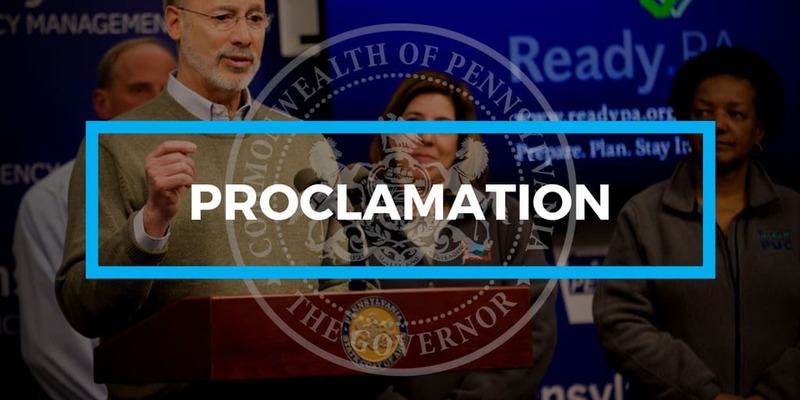 THEREFORE, in special recognition of the contributions of women from all walks of life to the advancement and development of our Commonwealth and our nation, I, Tom Wolf, Governor of the Commonwealth of Pennsylvania, do hereby proclaim March 2018 as WOMEN’S HISTORY MONTH. I encourage all Pennsylvanians to recognize the women who have left their imprint on the pages of history, as well as those whose leadership will guide us into a future filled with possibility and progress. GIVEN under my hand and the Seal of the Governor, at the City of Harrisburg, this twenty-seventh day of February two thousand eighteen, the year of the commonwealth the two hundred forty-second. Read full text of the proclamation below. You can also view the proclamation on Scribd and as a PDF.